You listed it, you got an offer, and you accepted it. You can see the finish line drawing closer. The home selling process is almost complete! Only one hurdle left to jump: the home inspection. Have no worries! Home inspections are an important but regular part of the process. As the seller, you want to deliver a top-notch home to the buyers. And there are a few things you can do ahead of time to make sure you ace your home inspection. Continue reading to find out how to pass inspection with these 7 tips for motivated home sellers. Make your home inspector feel comfortable by cleaning up your house. It’ll put the inspector in a better mood right from the get-go. Clean bathrooms so they’re bright and fresh. Your inspector must check all of the plumbing and it makes them happier to do it in a clean space. The same goes for appliances. The inspector doesn’t want to touch your dirty laundry or dishes when they check your appliances. Clear out the washer, dryer, and dishwasher. Declutter so that the inspector can reach the nooks and crannies. Remember, their job is to look at the home from top to bottom. Make it easy for them to reach places. You know they’ll check attics, crawlspaces, and basements. Clear out the pathways to these areas so the inspector doesn’t have to walk a tightrope to get there. Water is so important in a home inspection. To get an “A+” in Home Inspection 101, make sure that all of your plumbing and water drainage is working great. Fix plumbing leaks before the inspector gets there. Even if you have to hire a plumber, it’s worth the expense. Nothing makes buyers more skittish than plumbing problems. Is your roof leaking? Get that fixed asap! Again, buyers don’t want to see water damage of any sort. It raises questions about the quality of the home. And about how well you’ve maintained it. If you don’t have them already, consider installing gutters on your roof. The home inspector will note if they are absent. And lack of gutters means water could get into the foundation of the home. The inspector will check all smoke detectors. We’re all guilty of hearing that beep in the middle of the night and taking the detector down instead of replacing the battery. Make sure they’re all up when the inspector gets there. Replace broken detectors. Bite the bullet and replace all the batteries in them too. When all the detectors have fresh batteries, it shows that you know how to maintain your home. If you live in an older home, check the fire codes for smoke detector requirements. Old ones should be changed out for new, up-to-date detectors. And make sure there is a detector in every required spot in your house. As we mentioned before, make sure the access points to areas like the attic and basement are clear of clutter. But also make sure they’re unlocked. Never have any doors locked in the home when the inspector comes. When you’re selling your home, you can’t be picky about privacy. The inspector needs access to everything. Unlock all electrical boxes and cabinets. If you have valuable items that you’re worried about, take them out of the home before the inspection. Remember, the buyer isn’t only buying the home. They’re buying the entire property. Don’t forget about the outside. Treat the garage like the rest of the home. Clean it up and declutter it so the inspector has easy access. Make sure the garage door openers are plugged in and working. The inspector needs to check outdoor electrical boxes, septic tanks, and well housings. Clear weeds and brush away from these areas for easy access. Has it been a while since you maintained your furnace? Now’s the time to do it! Call in a professional to give your HVAC system a complete once-over. Nothing scares a homeowner away like the prospect of having to replace the furnace or AC in the near future. You want to know about any issues before the inspector makes their rounds. Even if you don’t want to call a professional, there are things you can do yourself to make sure the HVAC system is in working order. Replace filters and check hoses for leaks. Open up the heat registers throughout the home. Replace the batteries in your carbon monoxide detectors. Clear grass and leaves away from the outside AC unit. And let the entire system run for a while before the inspector gets there to make sure it works as it should. The inspector isn’t there to chat with you about your home. They want to get down to business. And it’s easiest for them to do it if you’re out of the way. Also, when the homeowner isn’t there, the inspector feels more comfortable getting down to the nitty-gritty. It’s awkward for them to flush out potential problems if you’re watching their every move. This applies to children and pets too. Inspectors don’t want to deal with Fido barking at them while they inspect. Make sure everyone is out of the home at least 30 minutes before the inspector is scheduled to be there. There’s no need to worry about a home inspection. With these 7 tips, you’ll pass inspection with flying colors. Remember to clean up and declutter. This applies to the inside and outside of your home. Make sure all plumbing is working as it should and that there are no water leaks anywhere in the home. Replace the batteries in your smoke detectors. And unlock all the doors and service areas to allow for easy access. It’s also a great idea to get your HVAC system maintained before inspection. And most importantly, get yourself and your pets out of the house while the inspector works. 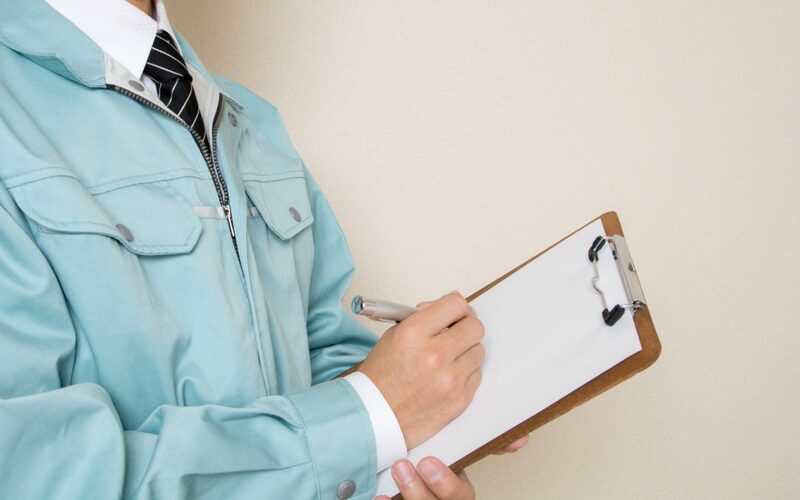 Are you ready to schedule your home inspection? Click here to set up an inspection date with Class Home Inspection!